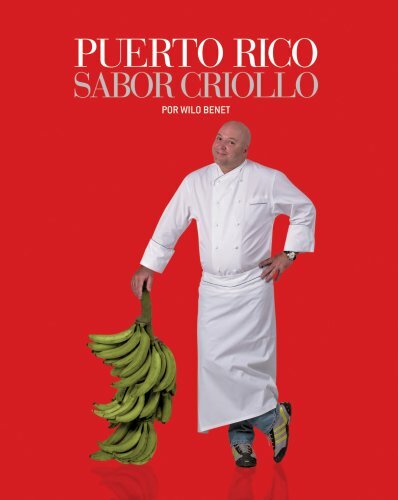 Spanish edition of his English book, Puerto Rico True Flavors, Puerto Rico Sabor Criollo has recipes for authentic Puerto Rican food updated for the 21st century home cook by San Juan's award-winning chef Wilo Benet. Benet provides traditional recipes for everything from Alcapurrias and Arañitas to Piñon and Pernil. The bible of Puerto Rican cooking! Wilo Benet is an award-winning Puerto Rican chef whose flagship restaurant, Pikayo, is a magnet for culinary trips to the island. He has appeared as guest chef at New York's prestigious James Beard Foundation; the Aspen Food Festival; on television's Food Channel and the Martha Stewart show. His extraordinary take on Latino cuisine has been featured in the New York Times, Condé Nast Travelelr, Gourmet Magazine and other publications.